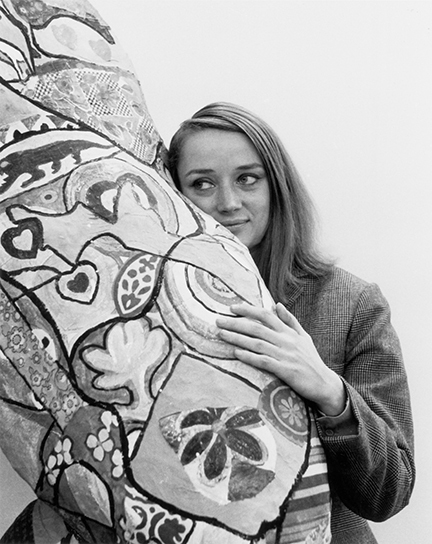 Throughout her career, Niki de Saint Phalle was labeled a ‘woman artist’ and had to prove her art was to be held at the same level as her male counterparts. As a female, sometimes her art wasn’t what was discussed, rather the discussion focused on her appearance, marriage, and children. from my art reduced my work to a “housewife’s hobby”. Saint Phalle wanted to combat the notion of women in their assigned roles, as wives, mothers, and caretakers of the household. She started her shooting paintings, and focused her anger and rage into these paintings/performances. “Performance art did not yet exist, but this was a performance. 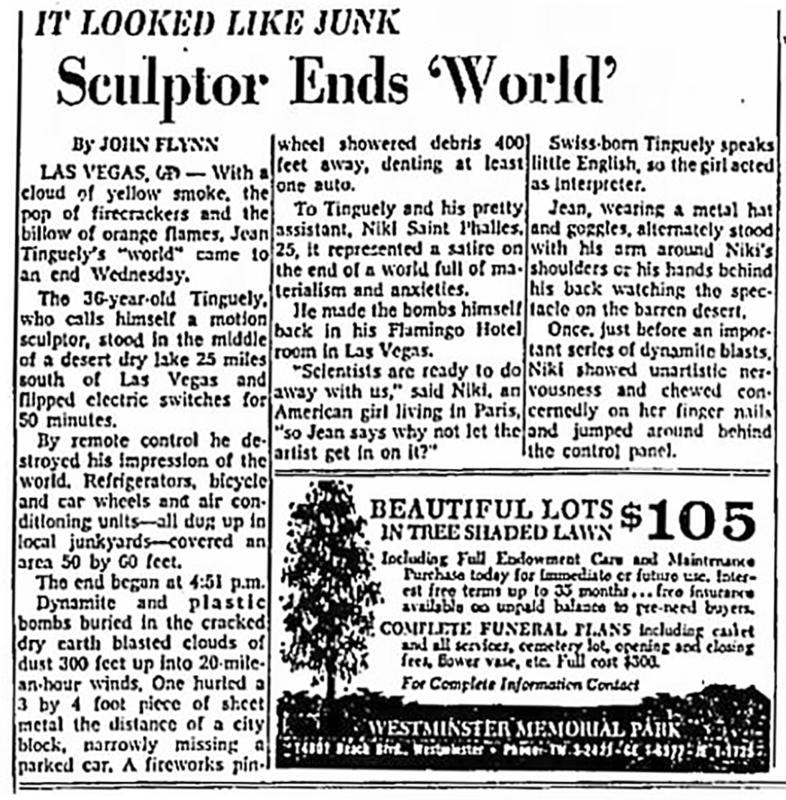 Many articles in the 60’s, while Saint Phalle was doing her shooting paintings, would comment on her appearance and looks, rather than discussing her art. Saint Phalle transitioned from her shooting paintings to her works of brides, births, and whores. I got the message that men had the power and I wanted it. From there, Saint Phalle’s women evolved into her nanas, large curvy colorful women that dramatized their spiritual independence. One article, titled ‘Her Sculpted ‘Nanas’ Create a Big Furor’, discussed Niki de Saint Phalle’s attire and what her guests were wearing at the opening of one of her shows. Niki de Saint Phalle continued making her nanas, expanding with materials and in size. Many female artist dealt with similar scrutiny and the problems of being a woman artist in the male dominated art world. 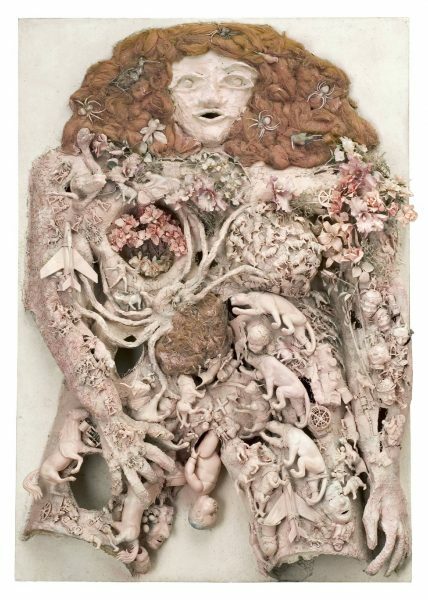 Artists like Miriam Schapiro and Jann Haworth were artists during the same time as Saint Phalle, working to establish more a female artist presence. female students… they just needed to look at their photos’. 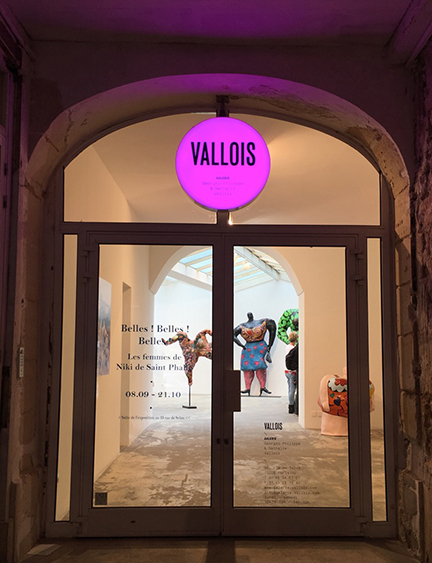 Galerie Georges-Philippe & Nathalie Vallois in Paris present through October 21st, more than a dozen feminine figures created by Niki de Saint Phalle between 1963 and 1990. The exhibition titled, “Belles! Belles! Belles! 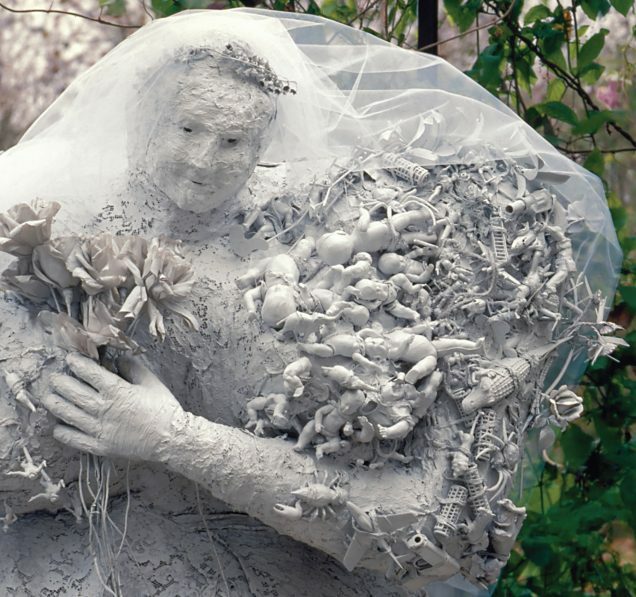 Les femmes de Niki de Saint Phalle” (Beautiful! Beautiful! Beautiful! 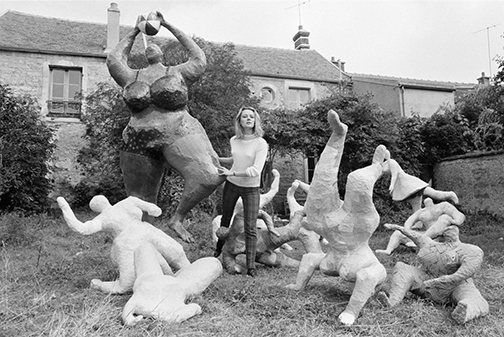 The Women of Niki de Saint Phalle) explores what it is to be a woman according to the artist. In the two gallery spaces (33 & 36 rue de Seine) women sculptures with revolutionary and unconventional shapes welcome the visitors. Ending the exhibition is a video interview of the artist which gives the public one answer. “Are these Nanas a portrait of yourself?” a journalist asks Niki de Saint Phalle. The artist answers, “Yes of course, I am all of them”. Saint Phalle wants women to be free from what she calls the “conneries” (bullshits) of sentimentality, marriage, etc. The video provides a beautiful end to a very rich show. Be sure to check out the show before it comes to an end this Sunday, on October 22, 2017!